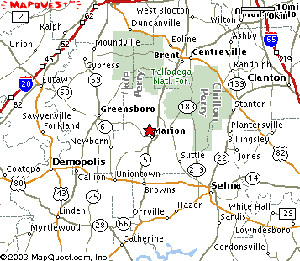 Donavan Inn is located near Marion, Alabama, and is part of the Donavan Lakes Fishing Club. The old farm house (Inn) was built in 1890 and is positioned on the Black Belt Prairie. 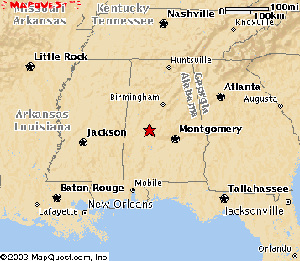 Marion, Alabama, is located in West-Central Alabama on the Blackbelt Prairie. Marion is in interesting town with numerous antique shops, public golf course, bait shops, and it is the county seat for Perry County. A List of Phone Numbers is provide for your convience. A large wooden walnut slab sign reading "Donavan Lakes Fishing Club" is positioned beside the iron gate on the road leading to the Inn. 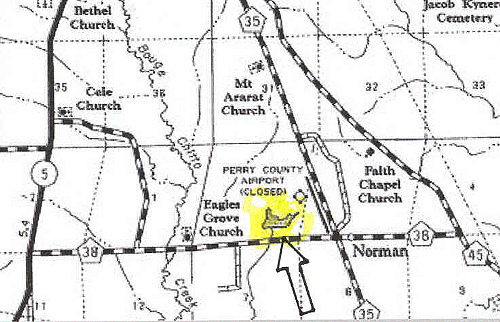 This gate is located on the north side of Perry County Hwy 38 and the gate is 1 mile from the Hwy 45 turnoff and 2.1 miles from the Hwy 5 turnoff. Donavan Inn is a great place for families, sportsmen, a gathering of friends, a honeymoon, or just a couple of people longing for the beauty and quiet of the country. Click on the above active links to the Donavan Lakes Fishing Club and to the Donavan Inn Rental Rates to learn more about a trip to the great out-of-doors.